From pine forests and shallow bogs to sea breezes and pebbled shores, Charlotte County, New Brunswick offers an international extension to our Washington County. Whether you enjoy hiking, spending time on a beach, or exploring, the county’s islands offer a maritime adventure that is not to be missed. Grab your passport and camera, for this day trip is not to go un-photographed. Email threats received earlier this week led to the closure of the Machias schools on Tuesday, Oct. 3 and all A.O.S 96 schools plus Washington Academy on Wednesday, Oct. 4. 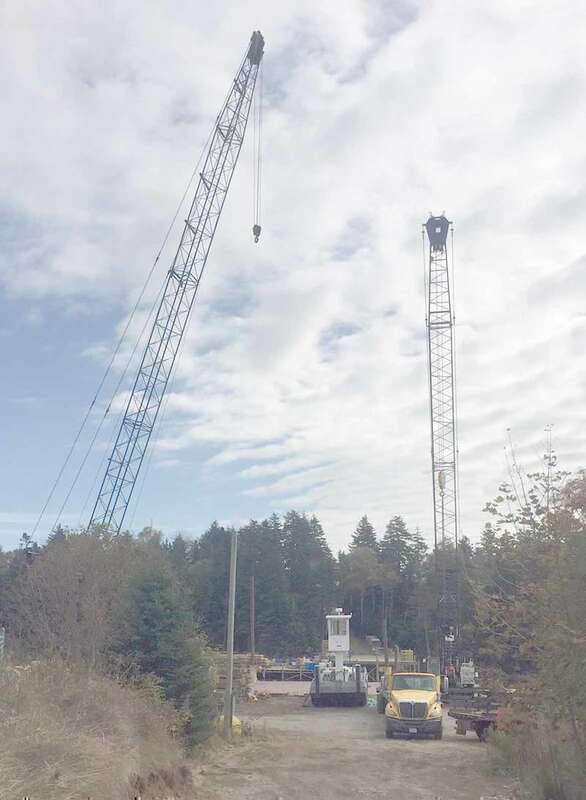 "Within the last 24 hours or so we got some email threats that a person or persons unknown may try to cause harm to the students at Machias High," said Machias Police Chief Grady Dwelly. The Jonesport building that for nearly 30 years was known as Tall Barney’s Restaurant is no more. Created as an eatery over three decades ago, it grew in popularity with local patrons as it passed through several owners, including sisters Marlene Dobbins, Joyce Bryant and Deanna Chandler, who gave it its moniker in 1990. Recently, the property was purchased by Jonesport businessman Manford Durkee, who last month began removing fixtures and appliances from the building and, in the early hours of September 24, engaged the fire department to burn it down. Movie -- 6 p.m. Oct. 6 at the Henry D. Moore Library and Community Center, Steuben. Showing “Casper.” Free admission. Refreshments sold by donation. FMI: www.moorelibrary.org. Turkey Dinner - Church Supper - Cherryfield Congregational Church Fellowship Hall (River Road, Cherryfield), October 11. Dinner served at 5:30 p.m. (Doors open at 5 p.m.). The Ark is hosting a dog show 2 p.m. Saturday, Oct. 21. The show was supposed to take place during an event Sept. 9 but was rained out. Prizes will be awarded to both children and adults in categories including best trick, best groomed, best costume and most obedient. The Showmanship Award, Best Friend Award and Best in Show will also be presented. 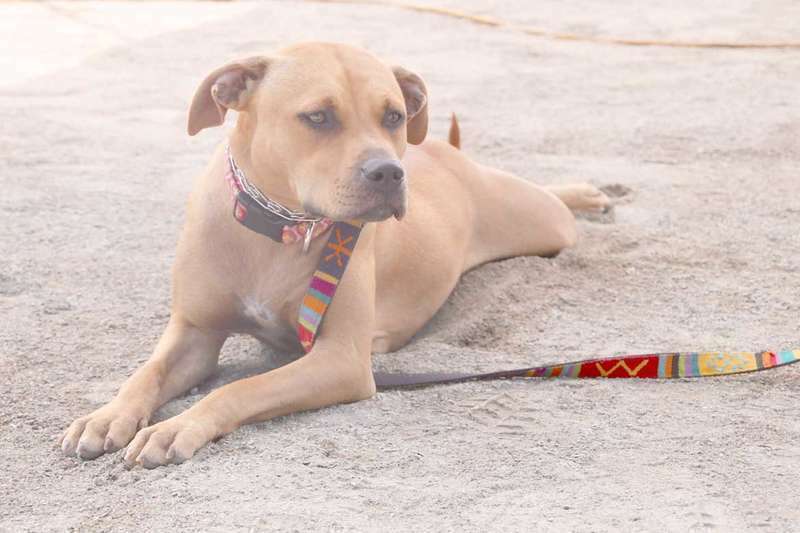 All dogs are welcome as long as they are on a leash and have a current rabies tag or certificate. The Ark is located at 60 Barber Lane in Cherryfield. For more information, call 207-546-3484. The Pleasant River Historical Society annual meeting will be held at Mayhew Library in Addison on Sunday, Oct. 8 at 2 p.m. All interested persons are welcome to attend, and a table will be set up at 1:30 to accept new members for voting purposes of this pivotal meeting. Dog owners who would like to learn more about dog behavior can do so while helping to support The Ark Animal Shelter in Cherryfield. The Ark is sponsoring DOGSENSE, an Ark fundraising event to be held 9 a.m. Saturday, Oct. 28, in the Machias Savings Bank Community Room in Brewer. 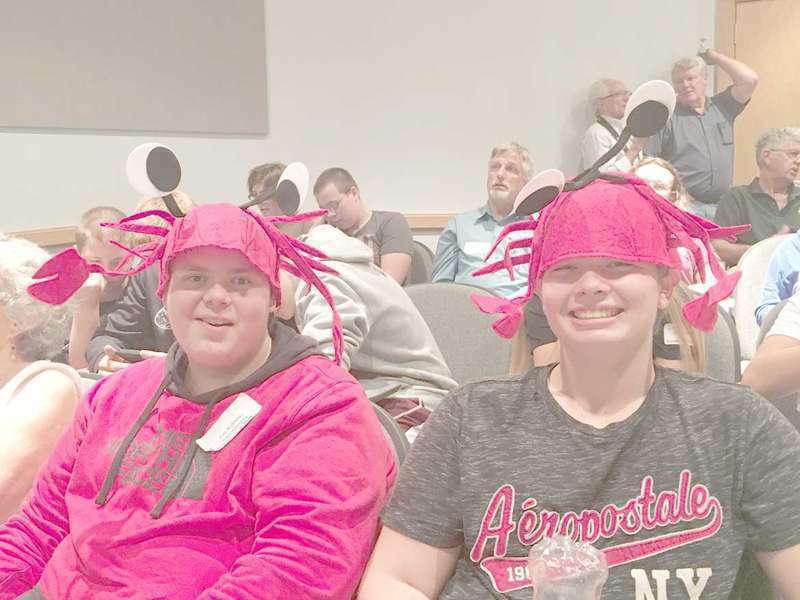 After undergoing brain surgery in New York to remove a tumor from her optic nerve, Shelbie Ross has returned to Washington County and is recovering at home. Ross’ total recovery time frame is estimated to be two to three months. 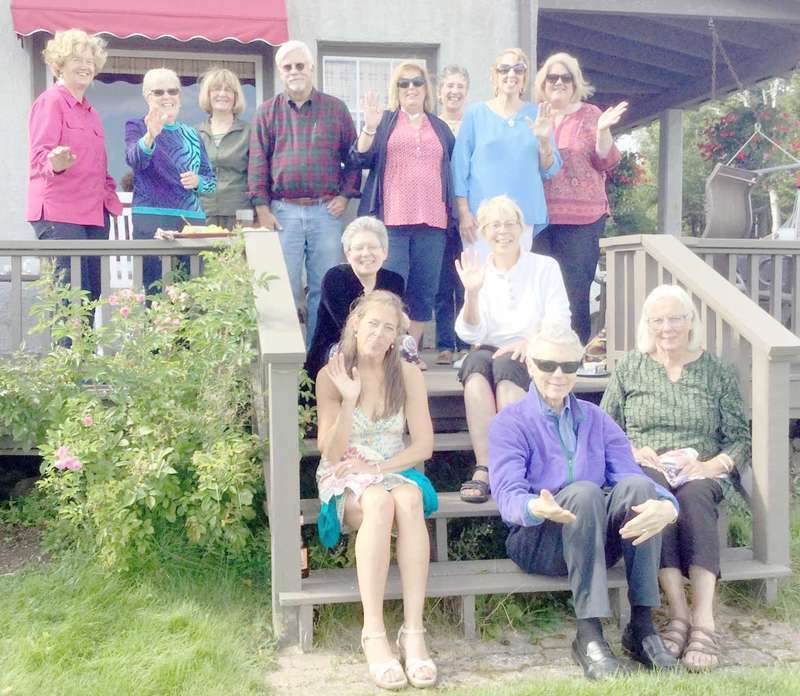 While she was away for the Sept. 21 surgery, her friends organized a benefit supper that raised more than $5,000 to assist with covering the staggering costs of the surgery and time out of work. Congratulations to Michelle McLaughlin and Zachary Strout for filling her permit up in the Allagash on the Fox Brook Road in the North Maine Woods. The warm temperature during the week made it difficult in seeing any moose, but by Friday morning the temps finally came down to the low 30’s. It was about 5:10 p.m. that they saw the moose coming out of the woods to where they were. The hunt was now over. Hunters for the Hungry is a cooperative program between the Department of Inland Fisheries and Wildlife and The Emergency Food Assistance Program (TEFAP) within the Department of Agriculture, Conservation, and Forestry. This program provides a means for hunters to donate all or a portion of their hunt to a family in need. This program has been extremely beneficial to our citizens, providing lean, high protein meats to food pantries, soup kitchens, and homeless shelters. Do not forget, Oktoberfest is being held next Saturday. The parade lines up on East Main Street at eight in the morning. 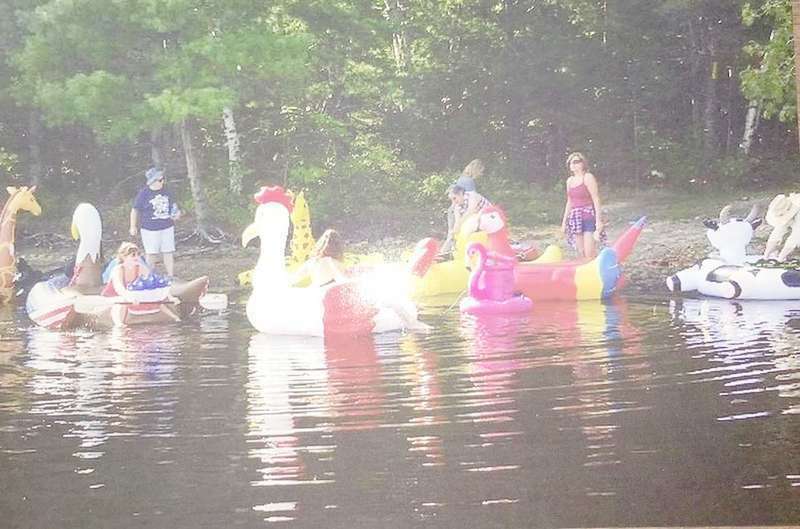 There will be many participants, fire engines, and floats. The parade ends at Bigelow Park where there will be bounce houses, a train, music and wonderful music. It is a great time to visit friends and have an enjoyable time. 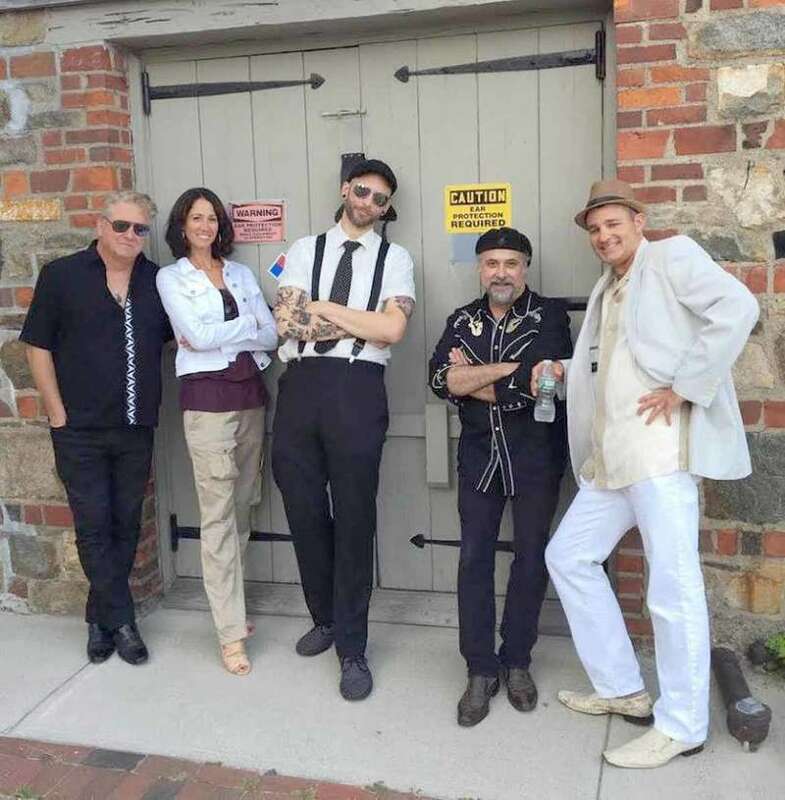 The evening brings a dance at the VFW starting at nine p.m. The music is being provided by the band “Driven”. We all look forward to this annual event. Hope to see you there! The Henry D. Moore Library and Community Center in Steuben will host a talk given by Larry Smith on the cottages of Grindstone Neck at 7 p.m. Thursday, Oct. 12. 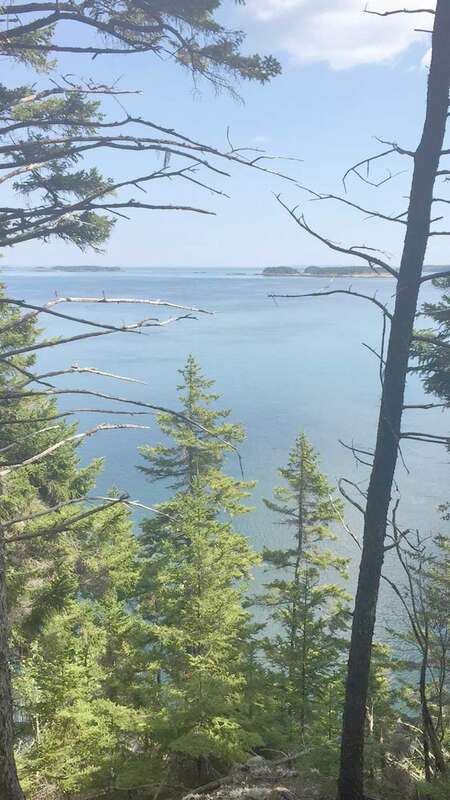 The Grindstone Neck section of Winter Harbor was formed in 1889 by a group called The Gouldsboro Land Improvement Company with the idea of creating a summer colony, much like that of Bar Harbor. Many of the buildings on the neck were designed by Lindley Johnson and Wilson Eyre. The University of Maine at Machias Art Gallery will open a show of the work of photographer Lisa Tyson Ennis with a reception on Oct. 18 from 5–7 p.m. Entitled What Once Was, the show will be on display in the gallery through Dec. 8. 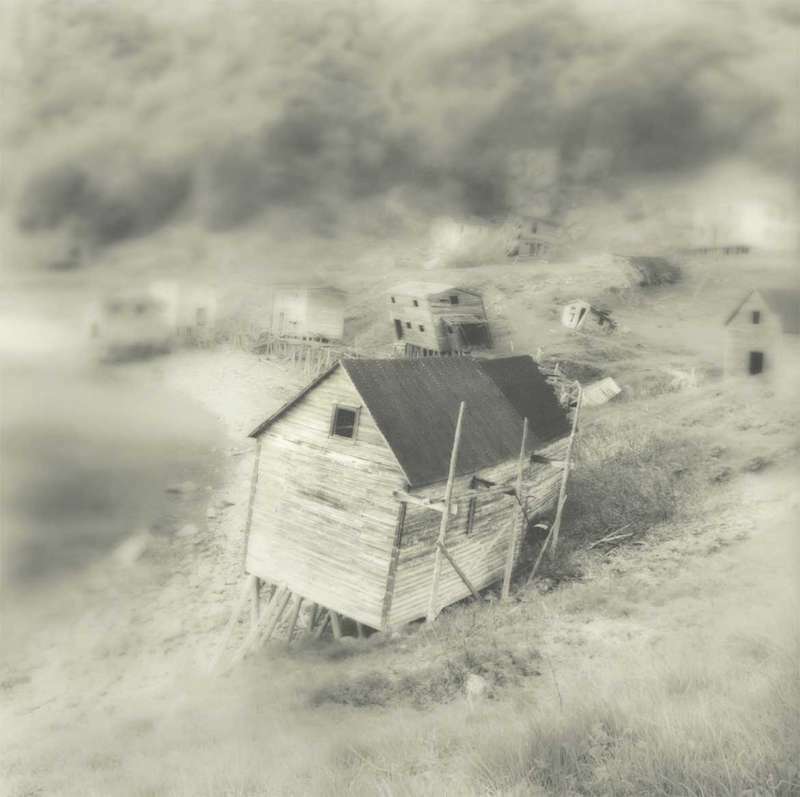 Responding to dramatic changes occurring within the inshore fisheries of New England and Atlantic Canada, fine arts photographer Lisa Tyson Ennis has focused her large format cameras on the area’s haunting symbols of another time – herring weirs, smokehouses and remote fishing outports in Newfoundland. Providers came out in numbers for the education session on improving opioid prescribing and patient safety, hosted by Down East Community Hospital (DECH) and the Maine Medical Association. 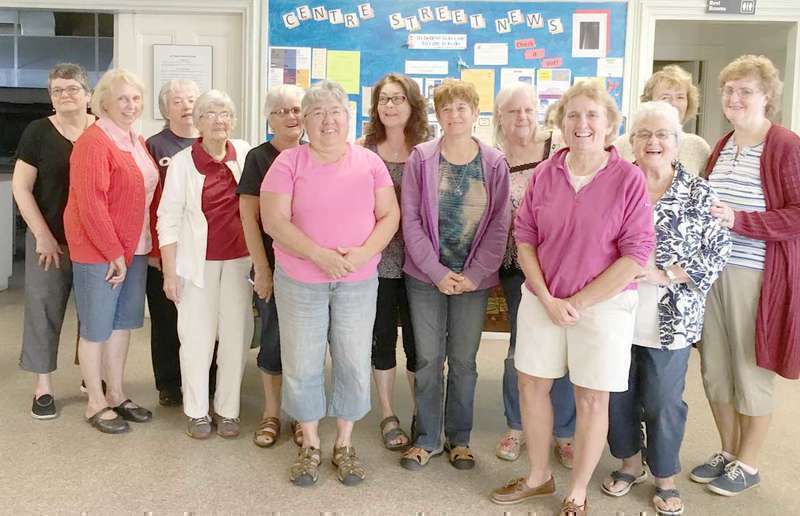 The sessions took place at the Maine Veterans’ Home in Machias and at the Women’s Health Resource Library in Milbridge. Between the two locations, 42 area providers attended to learn about new prescribing laws. “Helen’s Elves” have started their planning meetings for the 2017 Community Christmas Giving Tree Program. If you would like to learn more about the program. Please call Deb Eckart, 255-4279. The Washington County Thriving in Place Initiative invites all seniors to the Senior Health & Safety Expo—a special event created to address some of the most pressing issues facing our aging residents—on Oct. 21 from 9 a.m. to noon in the multipurpose room of the Maine Veterans’ Home in Machias. Designed around issues of health and safety, this free event offers a unique opportunity for a private consultation with a licensed pharmacist to review your medications for dosage, drug interactions, and expiration dates. What can you tell me about body donation programs? With little to no savings, I’m looking for a free or cheap way to dispose of my body after I die. William C. Moody, 83, of Palmer Township, Pennsylvania, formerly of Wesley, Maine, passed away Thursday, September 14, 2017 in Easton Hospital. Born January 18, 1934, in Orange, NJ, he was a son of the late Paul L. and Helen H. Kretschmer Moody. He retired in 1988 from the National Guard, Morristown, NJ, where he worked as a military technician for 25 years. 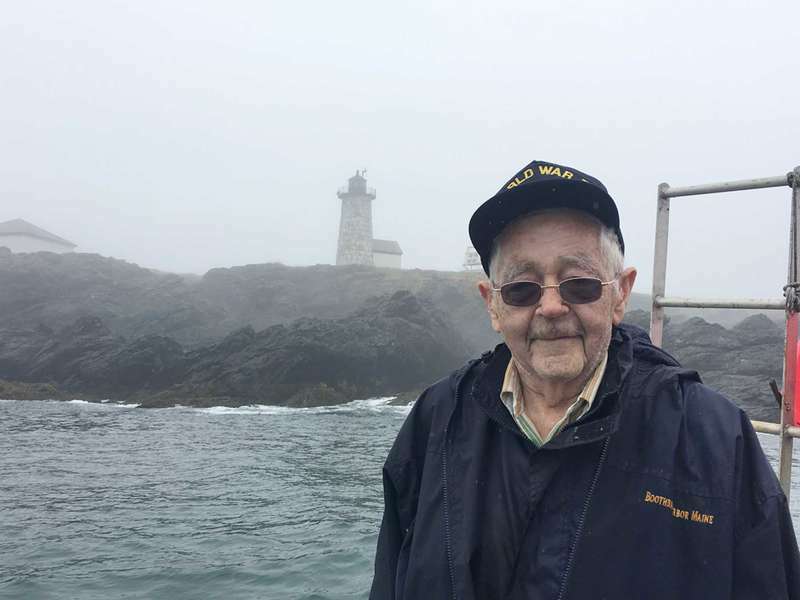 Bill had also been fire chief of the town of Wesley, Maine, served as fire warden in Wesley, Maine and was a firefighter for Basking Ridge Volunteer Fire Company. Sandra Nina Hill, 82, passed away peacefully at home on Tuesday, September 26, 2017. Sandra was born in Calais on April 15, 1935, daughter of Lawrence and Gwendolyn (Gardiner) Johnstone. When thinking about the terms “community-building” and “life-affirming”, the situation of attending a dying person’s side may not immediately come to mind. As contradictory as it could seem, being in the role of a hospice volunteer is not simply about easing the passage of one individual into death – it is also about creating long-lasting, meaningful bonds with a network of people enriched by their experience with human compassion. 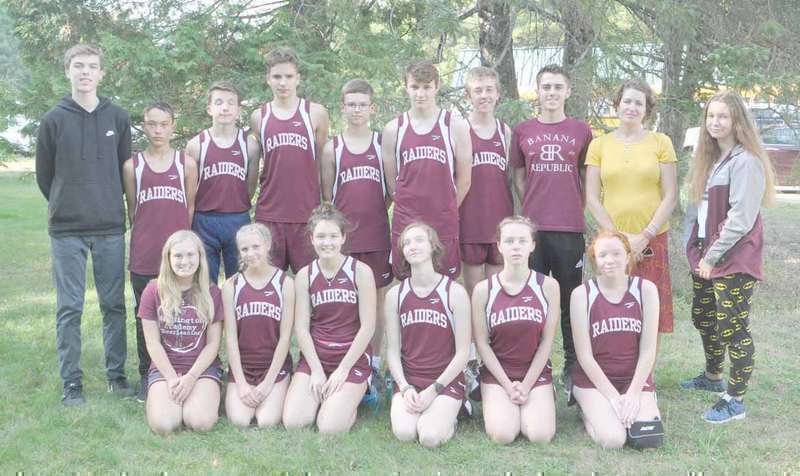 The Central High School of East Corinth Red Devils hosted an invitational cross country meet on Sept. 15 which saw the Mount Desert Island boys and Orono girls take top honors. The MDI boys edged Orono 28 to 30 for the team victory. 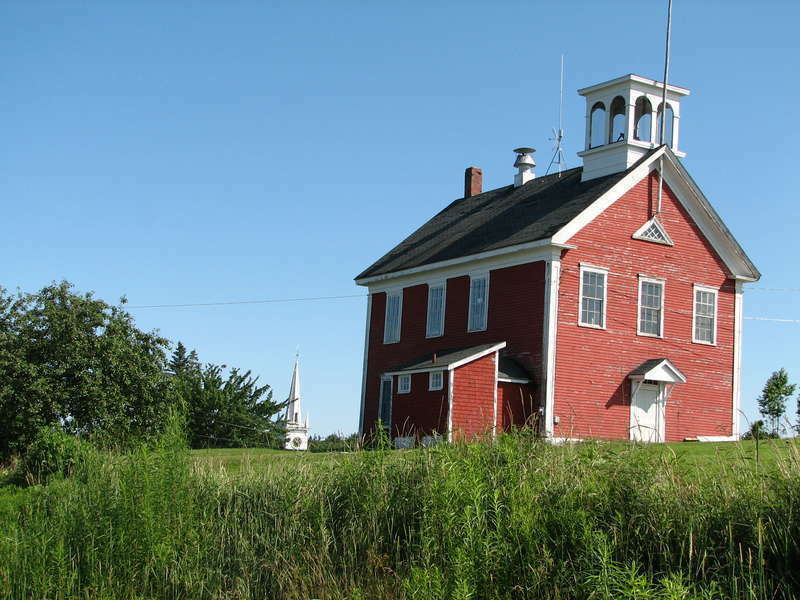 They were followed by Old Town 97, Mattanawcook Academy of Lincoln 101, Lee Academy 141, Central 178 and Machias 179. Thorin Smith of MDI took individual honors with a time of 16:52 on the 3.1 mile course, Jonathan Steelman of Orono was second at 17:03 followed closely by Nicola’s Reznick of MDI at 17:07. Please see page 16 & 17 of the paper edition on newsstands for full photo spread or view the Digital Version here. Raider Jacob Figel gets a strong foot into the ball. Mahoney Yahouili makes a Raider pass. The University of Maine at Machias Clipper men are off to a good start under first year coach, Joseph Tibbs. After the season opening, 5-0 win over Central Maine Community College, the Clippers hosted Paul Smith’s College of New York and blanked the Bobcats 7-0. Woodland’s Michael Grimanis scored a pair of goals and picked up a pair of assists. Lorenzo Sequra and Haidar Al-Freihy also scored twice while Ridwan Hasson scored the other Clipper goals. 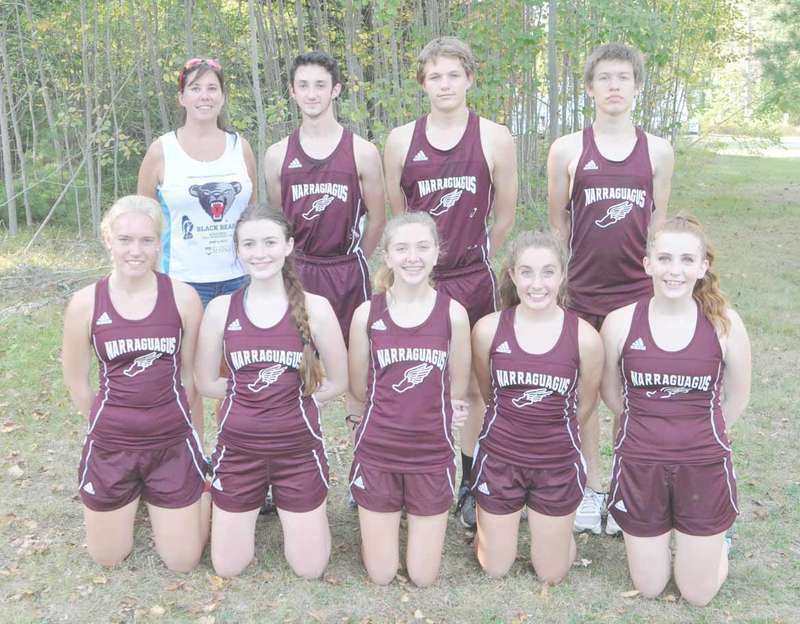 The Ellsworth High School boys and George Stevens Academy (GSA) girls were winners at the Washington Academy (WA) cross country invitational in East Machias on Sept. 15. The boys’ meet saw Ellsworth win easily with a low score of 37 followed by George Stevens Academy 70, Calais 78, Washington Academy 110, Searsport 124, Bucksport 146 and Sumner 148. Brendon Penfold of Deer Isle-Stonington took individual honors with a time of 17:12 over the 5K course. Jim Golike teamed up with three different teammates in consecutive weeks to take first place honors at the Barren View Golf Club’s Senior Scramble. On Sept. 6, Jim recorded his first win by teaming up with Frankie Gatcomb, Gordie Faulkingham and Craig Pulkkinen. The quartet recorded a -6 to post a one point win over Gary Willey, Paul Look, Fred Morgan and Pete Thompson. The University of Maine at Machias (UMM) Lady Clippers soccer and volleyball squads have seen a lot of action lately. The UMM soccer team has been in a lot of close contests and are currently 1-4-1 while the volleyball squad is 2-5. The Clipper soccer team posted their only victory to date in their second game of the season when they hosted Paul Smith’s college of New York. My normal schedule is four days working in Washington while sleeping in my office, and three days traveling from Fryeburg to Fort Kent, from Jackman to Eastport -- the largest congressional district east of the Mississippi River -- meeting with thousands of fellow Mainers. My 35 years of running small businesses taught me you haveto work with everybody to be successful. The same is true in Congress. Working with both Democrats and Republicans gets stuff done. And I do. 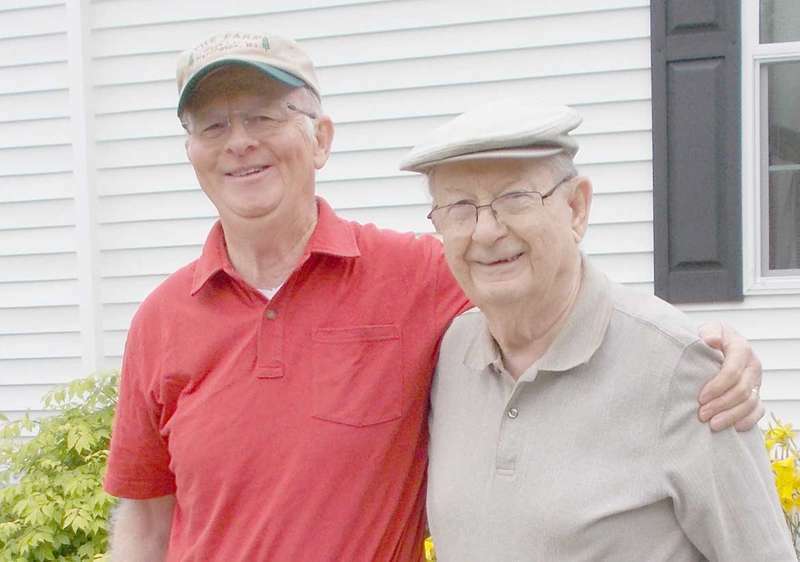 Celebrating Father’s Day earlier this year with broad smiles are Peter (left) and Guenther Classen of Harrington. The Classens, who enrolled in Down East Hospice, are deeply appreciative of their experience working with volunteer Andy Cadot. Photo courtesy of Peter Classen. Story on Pg. 19. The Department of Marine Resources (DMR) is continuing to monitor an extensive bloom of the phytoplankton Karenia mikimotoi in the Casco Bay region. Based on aerial observations and shore based water sampling, the bloom appears to extend from Cape Elizabeth to the New Meadows River. Phytoplankton counts from around the affected area were as high as 44 million cells per liter of seawater earlier in the week, but have significantly declined in most areas to less than 10,000 c/L based on sampling results from today (9/29). Starting Sept. 25, we will begin the effort to mark over 200,000 endangered juvenile Atlantic salmon--and we’re looking for volunteers! 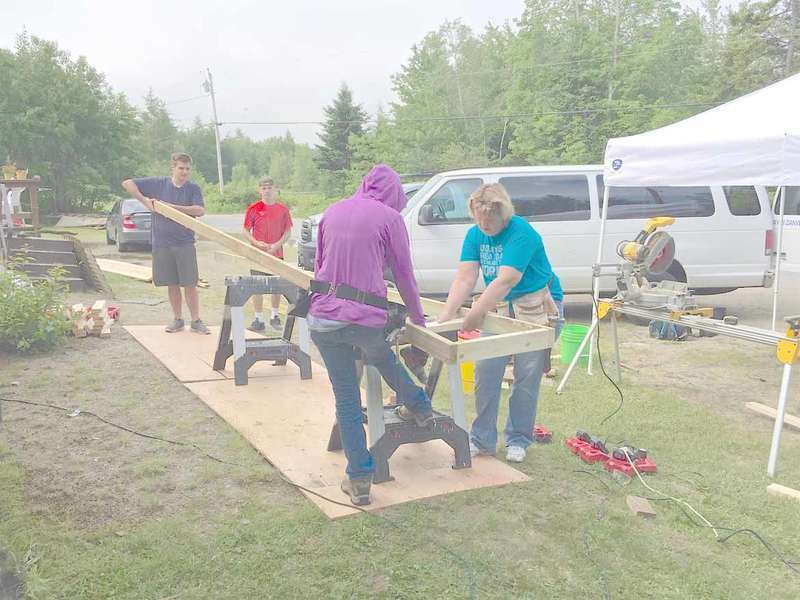 This effort will take place at the Peter Gray Hatchery located at 13 Willow Street in East Machias. 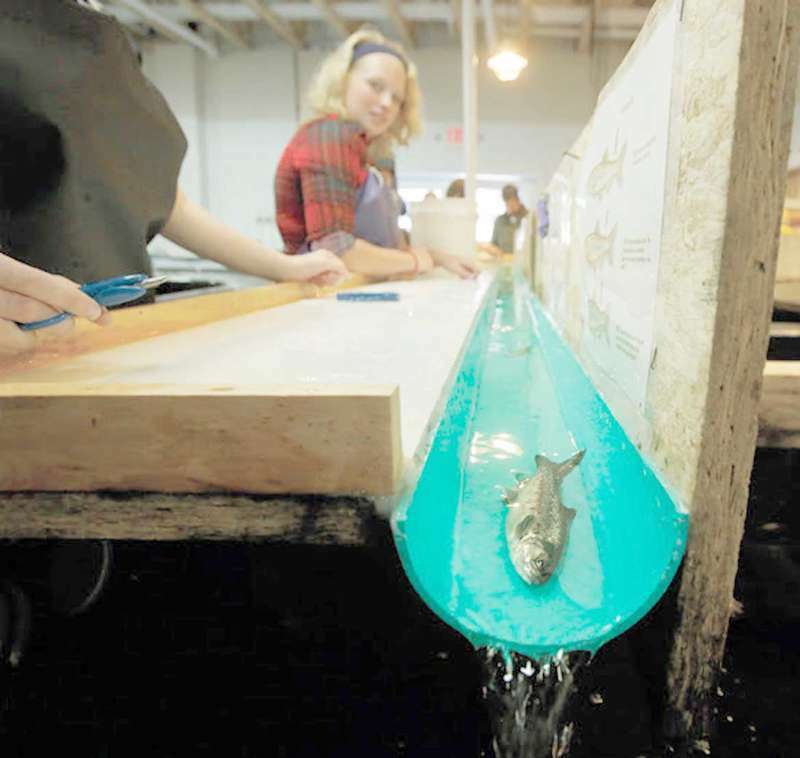 This is part of Downeast Salmon Federation’s ongoing research project—the Peter Gray Parr Project—to restore the Atlantic salmon population in the East Machias River. Fin clipping will continue for approximately three weeks after the start date. 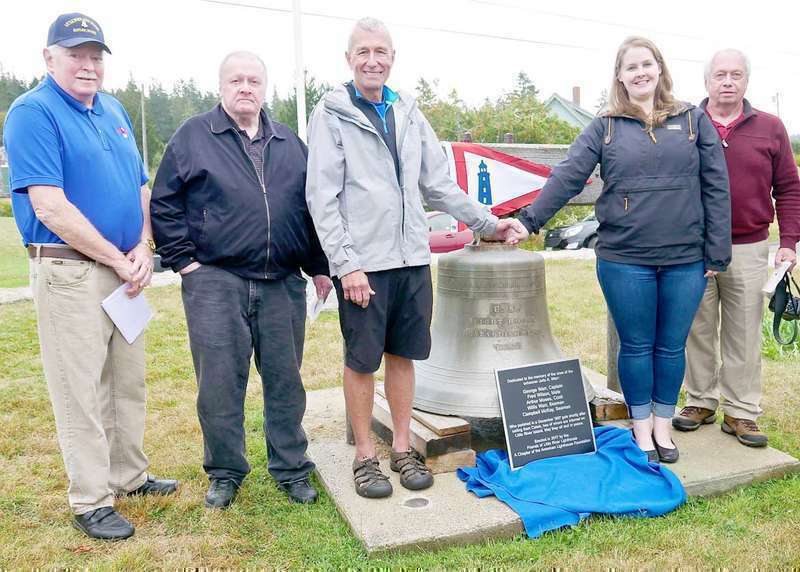 Sailors long gone but newly remembered received a permanent plaque of recognition last week, some 120 years after perishing in a shipwreck, the result of an 1897 Down East gale. Two of five men from the schooner Julia A. Warr washed ashore on Little River Island and were buried there. The ship which sailed from Calais was lost, and the identity of the sailors entered on the island has remained a mystery until recently. In respect for the victims of the horrific shootings in Las Vegas on Sunday, Oct. 1, Governor Paul R. LePage has directed the United States flag and the State of Maine flag be flown at half-staff immediately until sunset on Friday, Oct. 6, 2017. 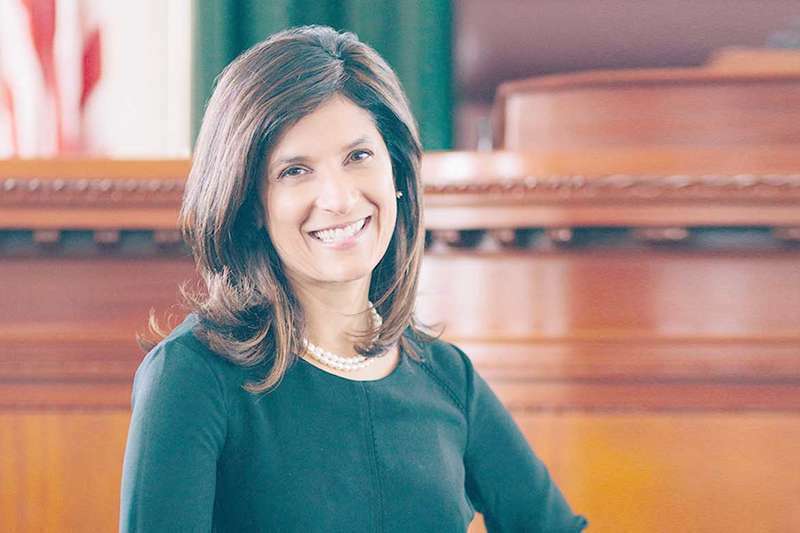 Sara Gideon, a Freeport Democrat who is serving her first term as the Speaker of the Maine House of Representatives, is coming to Machias on Oct. 15 to speak before the Washington County Democratic Committee. It will be her second visit to the county group, the first having taken place in May, 2016. 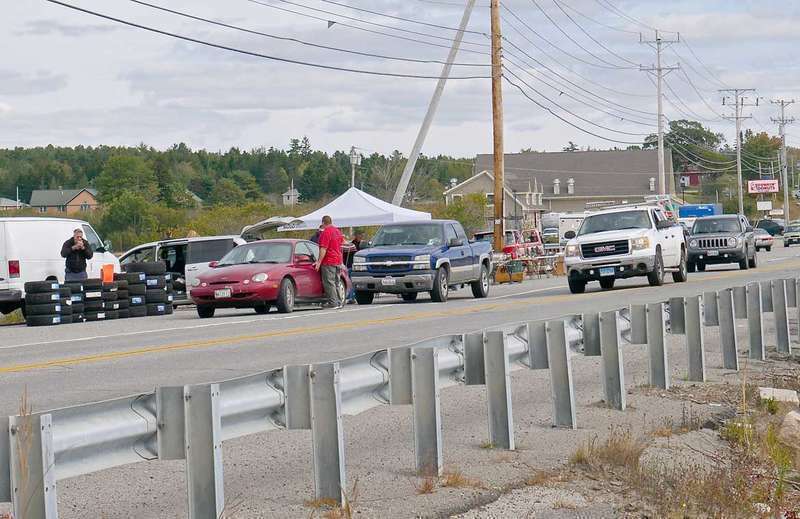 During the second public hearing on the matter held Sept. 27, the Machias Selectboard took feedback on a proposed mobile vending ordinance which would address merchants who sell on public property. 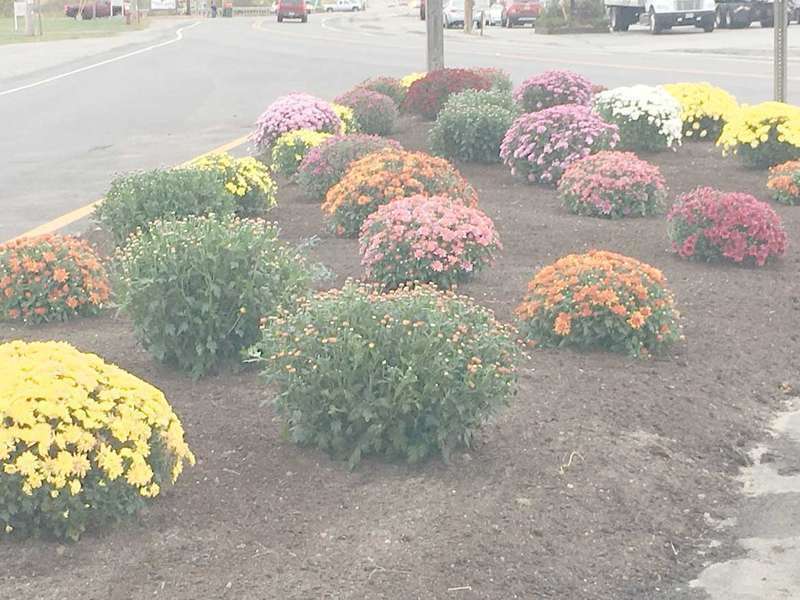 The idea for the ordinance was brought to the selectboard’s attention due to reported conflicts between vendors on the Machias dike, and some concerns that their presence adversely impacts local brick and mortar businesses. An initiative to establish access to home care for thousands of disabled and senior Mainers is gaining signatures in a campaign to be placed on the November 18 ballot. Many of us remember our childhood homes as idyllic, magical places. But in the case of Arnold Wass, few could accuse him of nostalgia. Because Wass’ childhood home was next to a lighthouse, and he spent his youth playing on an island. Though we are a long way out from the next election cycle, the campaigns of several Maine candidates are already picking up momentum. As of September, a full 15 people have declared themselves as candidates for governor, seven new candidates have declared for Angus King’s seat in the senate, and seven new candidates for Bruce Poliquin’s seat in the house. At Bear Camp, last week of hunting for Bear Lane in Wesley, they were dropping off Shawn from Washington State in Cooper while there was a wedding going on at the top of the hill. Shawn was left at the bottom, of course. No bear that night but he gave it a try anyway. We have had another nice week with the weather being unseasonably warm for this time of year. I guess we best not complain as when the weather changes we just might get a lot of cold weather and wish we had some of this. 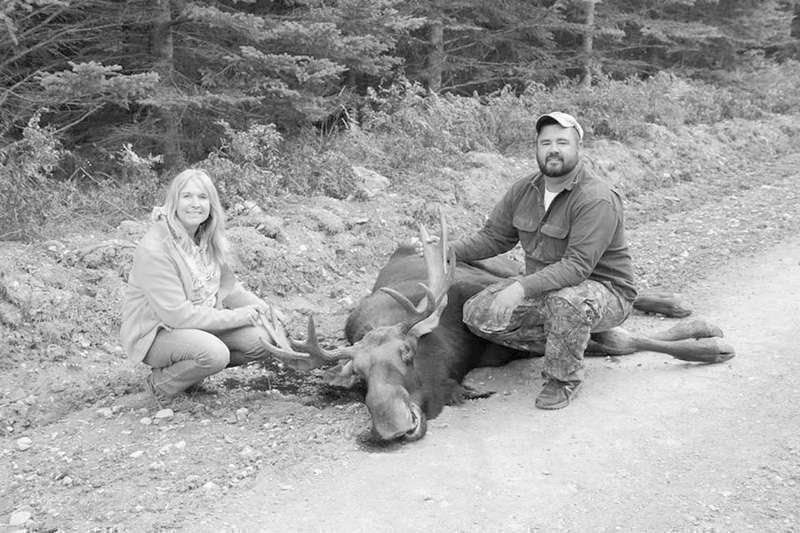 The moose hunt up North has not been doing well; it has been so hot that the hunters are hunting in t-shirts and shorts. My daughter said thank goodness for air conditioning in the vehicles to keep them cool while out riding the roads looking for moose. On Sept. 5, Shona Mitchell, C.N.A. was honored at the Blaine House by the Maine Long-Term Care Ombudsman Program and First Lady Anne Lepage. Shona has been providing quality and compassionate care to the residents of Sunrise Care Facility for fifteen years. 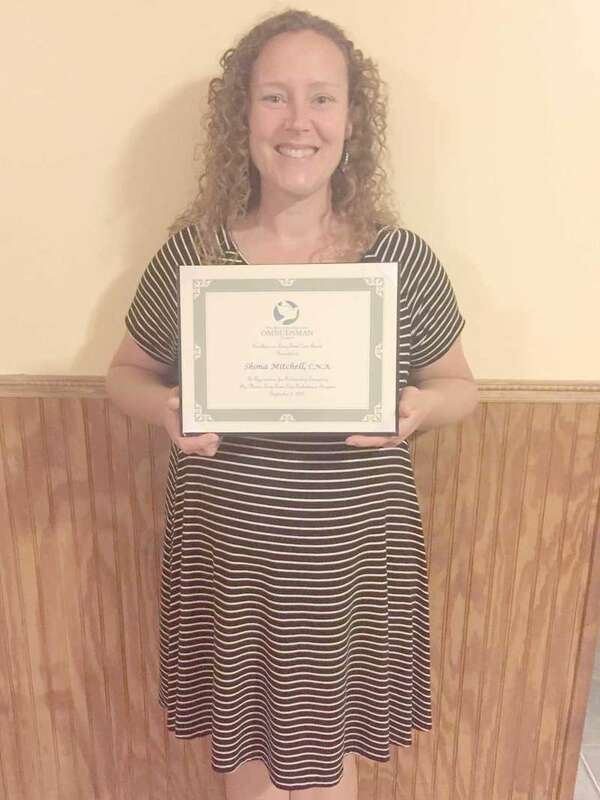 She was nominated as an outstanding caregiver by the Director of Nursing and her peers. 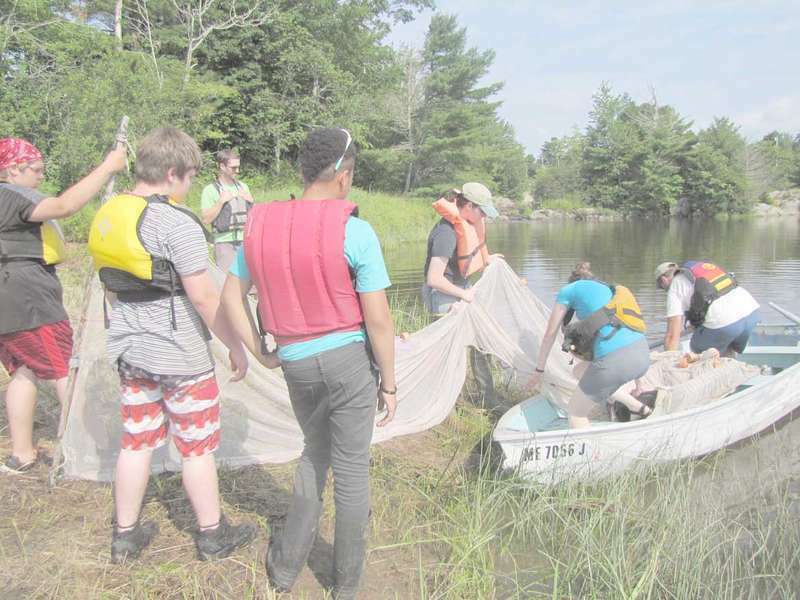 With support from Vital Signs grant from the Gulf of Maine Research Institute, high school students in Calais High School’s Cobscook Experiential Program will work on a data collection project in the East Machias and Orange River watersheds this school year. 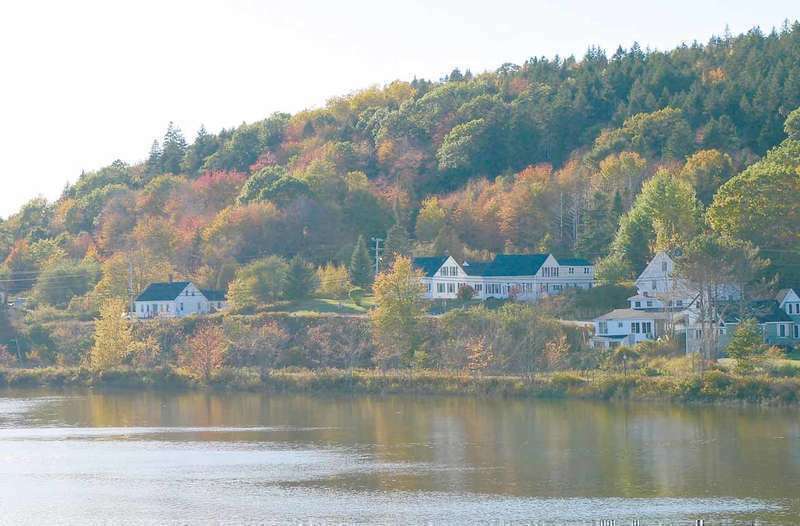 With help from Downeast Salmon Federation and guidance from university professors, students will collect data on changes in pH, water temperature, conductivity, dissolved oxygen, and turbidity at a variety of sites in both watersheds. Governor Paul R. LePage issued a proclamation on Friday, Sept. 29 calling the full Legislature to Augusta for a special session on Oct. 23. The Friends of Fort Knox will be staffing the Penobscot Narrows Observatory, Saturday evening, Oct. 7, from 7:30 p.m. until 9:30 p.m. (arrive by 9), to offer visitors an opportunity to view the area in the moonlight. This will be the only time this season that the observatory will be open during a full moon and those interested in this unique experience are encouraged to take advantage of it. Admission to the moonlight viewing in the observatory is $5 per person and tickets may be purchased the evening of the event. Clouds or rain will result in cancellation. I own a small business in Washington County, and I have to say, it’s abouttime someone took the bull by the horns when it comes to the federal tax code! I work hard to take care of my customers, employees and family—that’s part of my American dream. It is so frustrating and expensive for businesses to comply with the federal tax or code over 74,000 pages of complicated and sometimes outdated loopholes and regulations. Now is the time to make sure that everything about your woodstove is operating properly. Clear away all those newspapers and other flammable things that have piled up around the stove over the summer. Get your chimney cleaned and inspected by a professional. If you are installing or using a wood stove for the first time, do all these things plus talk with your local fire department to make sure your stove meets installation codes. As parents and grandparents, we know that car seat safety is a top priority for families, yet four out of five car seats are used incorrectly. That’s an incredibly high percentage of misuse, especially when 96 percent of parents surveyed believe they have installed their child’s seat safely and correctly. In the years of my youth, there is no movie that stands out as poignantly and thought-provoking as Rebel Without a Cause. My sister and I were among a record crowd of young teenagers -- mostly girls -- excitedly jammed into Emma’s Colonial Theatre at the head of Main Street in Machias. I can still remember the shouting, screaming and many flashes going off as we all tried to capture Dean at his slouchiest, brooding best on our cameras. Denise Rohan is no stranger to discrimination. But in a giant step forward for every American she has become the first woman to assume national command of the American Legion. 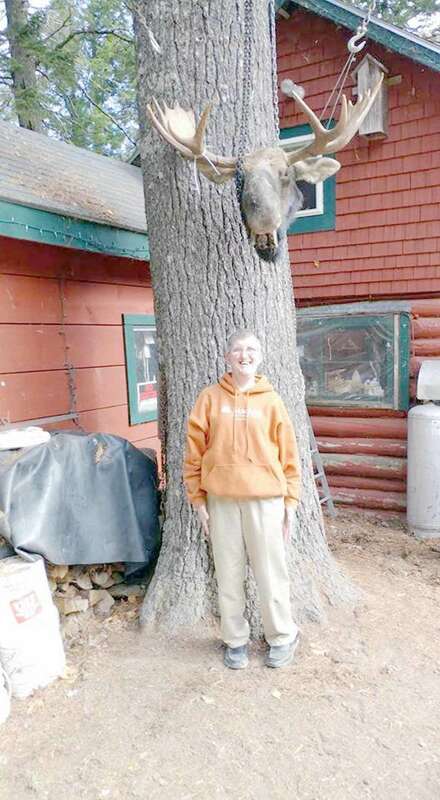 Recently she made her first official trip to Maine dropping in on American Legion posts in the Pine Tree State. 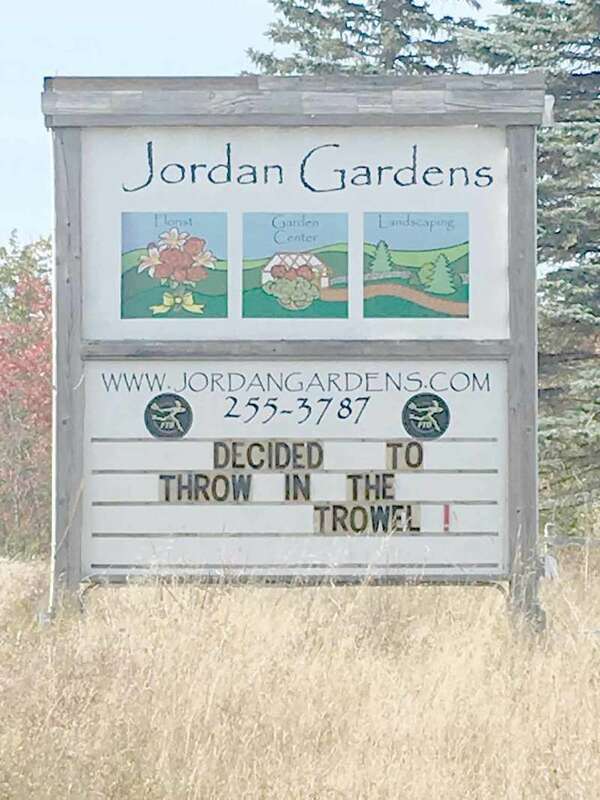 Unfortunately, she confined her visits to southern Maine. Kennebunk, Kennebunkport, York, Kezar Falls, Berwick and Sanford were graced with her memorable presence. In commemoration of the 36th Annual National Fallen Firefighters Memorial Weekend and Fire Prevention Week (October 8-14), Governor Paul R. LePage has ordered flags on all public buildings and grounds to be lowered to half-staff from sunrise to sunset on Sunday, Oct. 8. The moose hunt is over, but the echoes of a 308 booming in the early morning sunrise fifteen miles down a winding dirt road off another winding dirt road are ones I’ll not soon forget. Tomatoes, tomatoes is what is ripening at my house, I have been putting up more and more as they ripen. Thank goodness to the folks who have shared their bounty with me. I definitely won’t be going hungry for a long while. The weather has been good for all the school activities that have been happening. Soccer and volleyball games, and cross country meets have all been held this week. I went to Penobscot for the weekend with the dog. Maddy played volleyball all day Saturday, varsity and junior varsity. Bucksport won 3 and 3. I saw George and Patti on Sunday in Chelsea. Had a nice visit. 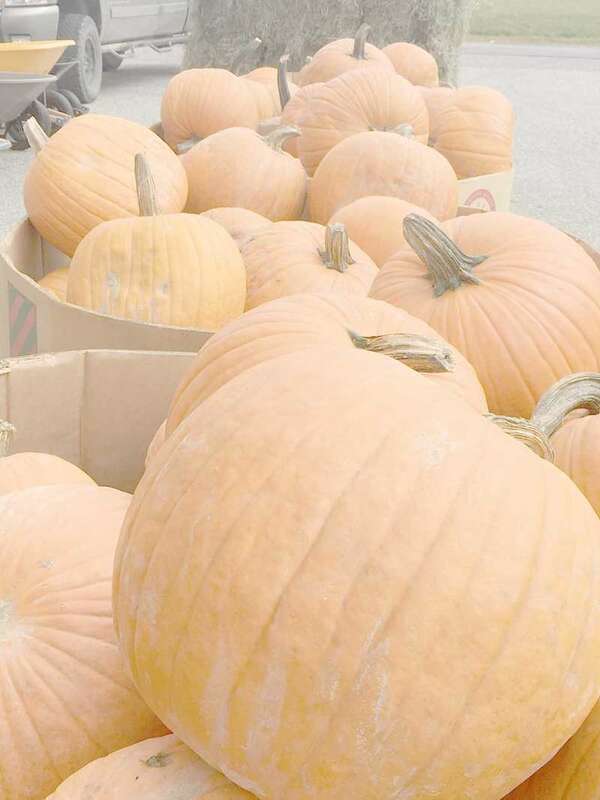 Nine of us did a corn maze, hay ride and got free pumpkins. On my way home on Monday morning, there was a bad accident on Rt. 9 about six miles from the snack bar on the Bangor side. A paneled truck went through the guard rails on one side of the road and a car on the opposite side. The Beals Planning Board will meet at 6 p.m., Thursday, October 19 in the town office to consider applications from Nancy and Vinyl Crowley for a double-wide home on Hard Head Road in Alleys Bay, and Robert and Shirley Beal to enlarge an existing workshop on Bridgeview Road to 16-by-18 feet. 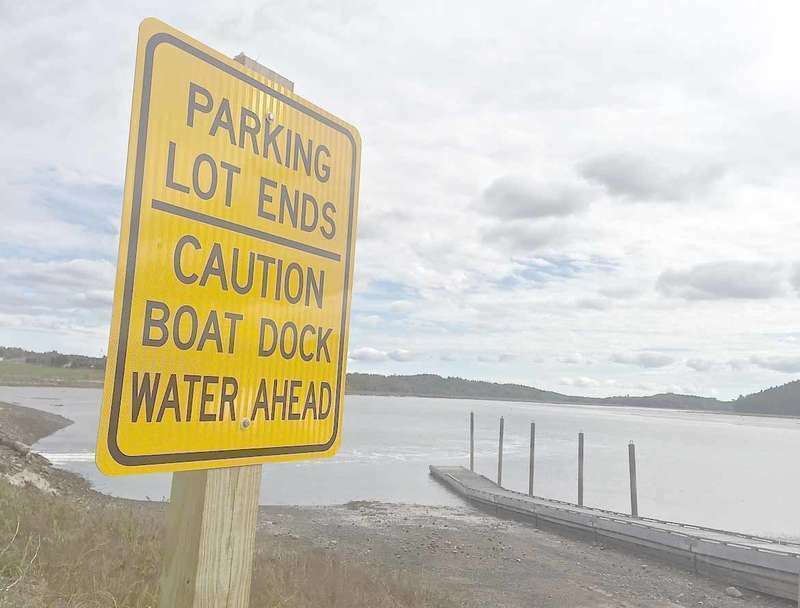 Representatives from Nancy Sullivan and Steve Kent’s subdivision at Seaduck Point will also attend to discuss the progress of that subdivision. Saturday, Sept. 23 was a wonderful day for the Whitneyville Public Library as over 30 friends helped us celebrate as we broke ground for the new library. After the groundbreaking ceremony friends were invited to the Hillgrove Community Building for light refreshments and to have a look at the construction plans for the library. The day was made even more special as one of the founding members ,Dorothy Bridges Bodger, was on hand to celebrate with us. Thank you to everyone that supported us and helped bring us to this special day. Last week’s news from Las Vegas had a profound impact on almost everyone I know—59 concert attendees murdered in cold blood. But for Washington County parents, that horrible event 2,000 miles away was made more personal by a threat much closer to home. Machias schools closed on Tuesday, Oct. 3, and every school in A.O.S. 96 followed suit on Wednesday, Oct. 4, on reports of emailed threats to students. The Machias Police Department was able to make an arrest by the end of Wednesday. We have that story for you on page three. 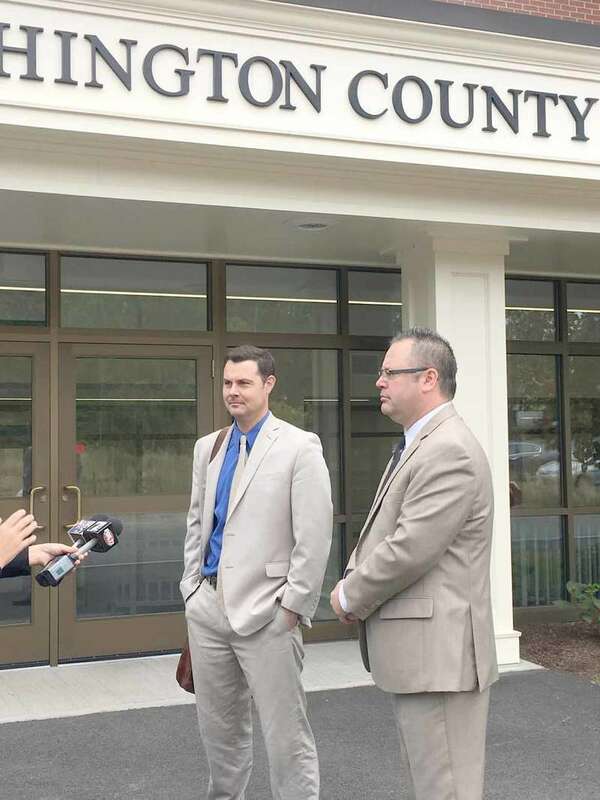 One of two people charged with the murder of Sally Shaw was arraigned at the Washington County Courthouse in Machias on Friday, Oct. 6. Quaneysha Greeley, 19, entered the courtroom in handcuffs and stood with her attorneys, Jeff Davidson and Nathan Hodgkins. She entered a plea of not guilty to the charge of intentional or knowing murder. Shaw’s body was found on the side of the road in Cherryfield on the morning of July 19. The autopsy report said that Shaw died of a single gunshot to the head. 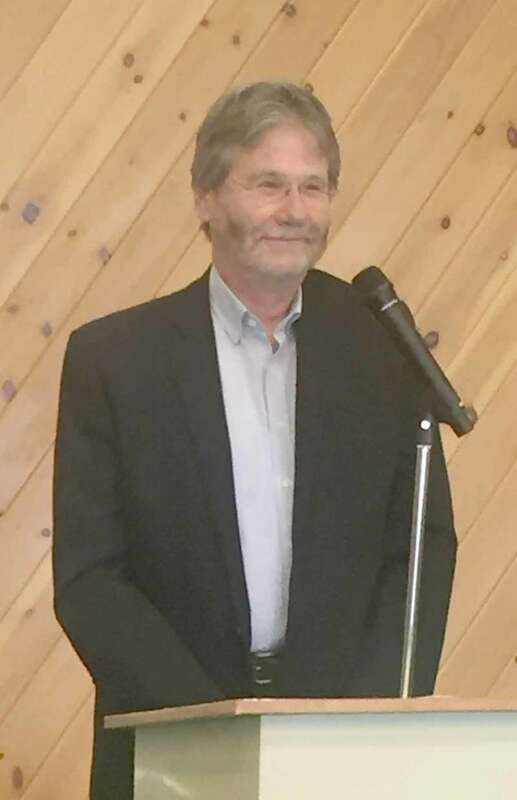 When Bill Nemitz opened his remarks at the 10th Annual Washington County Cancer Conference in Machias last week with the familiar “It’s great to be here today,” he added the word “cosmically” since, for nearly 15 years and critically in the last two, he has been living in a universe where cancer has threatened his existence. Nemitz lives by his pen—he is an award-winning journalist for the Portland Press Herald—but it was an oral accounting of his journey through cancer that brought him to the Pellon Center as the keynote speaker October 6. 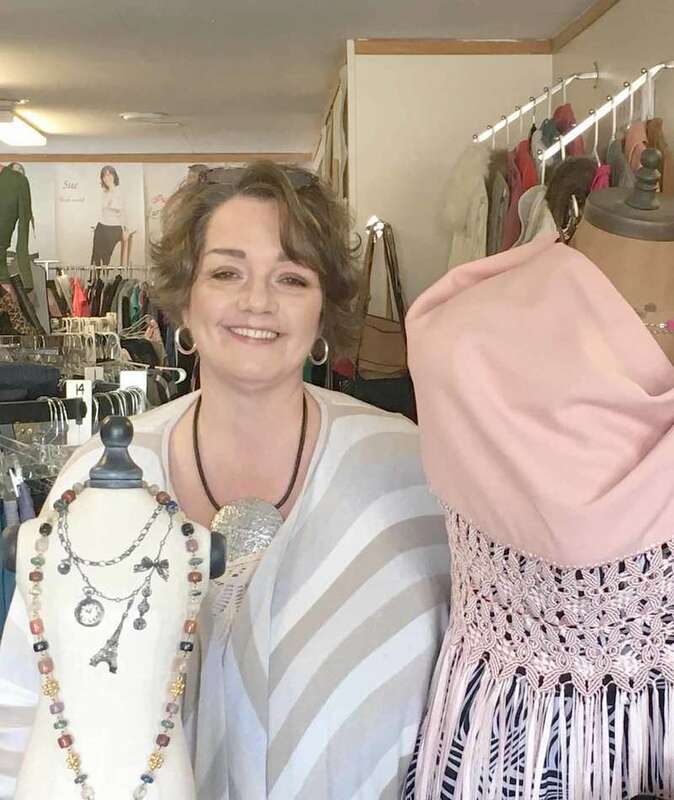 “That Sunday at family dinner I just announced that I was going to start a consignment shop,” said Guerra. Posh: The Frugal Fashionista is the Machias-based shop born of that announcement, and it just celebrated its third anniversary. 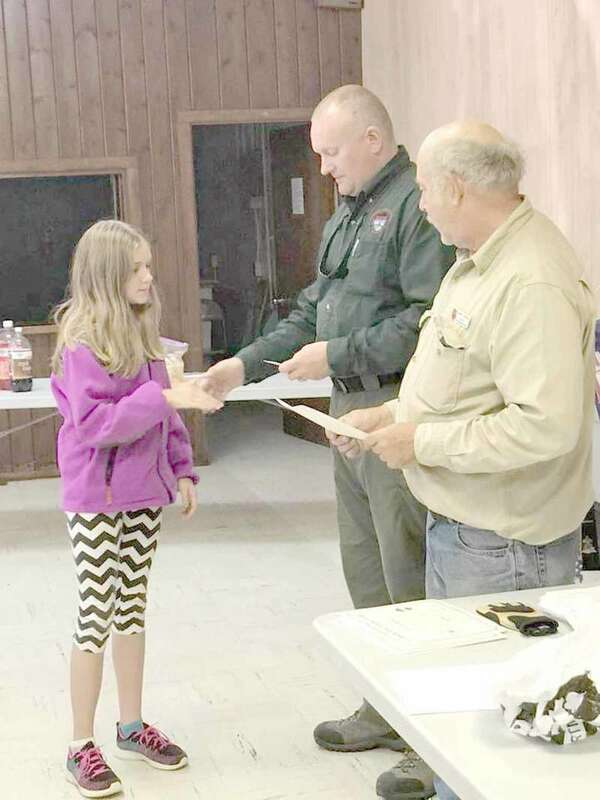 Sixty nine students and adults attended an ATV Safety Course sponsored by the Down East Trail Riders on Oct. 1. 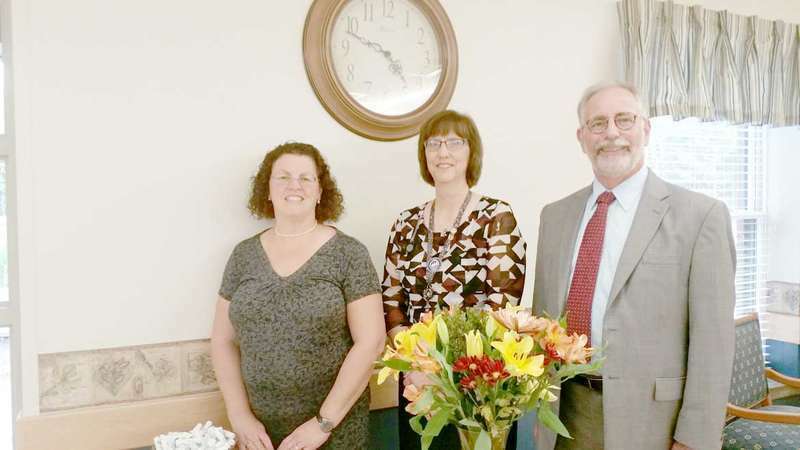 Thanks to the East Machias Selectmen, the course was held at the East Municipal Building. Passing the course allows students age 10-18 to drive an ATV on all Maine Trails. The lead instructor was Charles Corliss, Recreational Trail Coordinator at Maine Dept. of Transportation. Jon Southern, Maine Inland Fisheries & Wildlife and Joe McBrine, Maine Game Warden, also provided instruction on ATV Trail Safety, Map Reading and Maine State ATV laws. The Washington County Special Olympics swim program will begin its third season on Thursday, October 12 from 10 – 11 am at the UMM pool. Special Olympians of all ages are encouraged to participate. The first session will include a skills assessment, so participants should come prepared to get in the pool. Practices will take place every Thursday (excluding holidays and weather closures) until the spring regional meets, usually held in April. The Henry D. Moore Library and Community Center will be showing the movie “The Witches” on Friday, Oct. 13, at 6 p.m. While staying at a hotel in England with his grandmother Helga, young Luke inadvertently spies on a convention of witches. The Grand High Witch reveals a plan to turn all children into mice through a magical formula. When they find that Luke has overheard, the witches test the formula on him. Now, with the help of Helga and the hotel manager, Mr. Stringer, Luke the mouse must fight back against the witches. Come enjoy the movie on our big screen. University of Maine at Machias’ student activities organization, SAIL, will host two showings of the movie Wonder Woman on campus. SAIL stands for Student Activities Involvement and Leadership, and the organization hosts events throughout the academic year for students and community members. Wonder Woman will show in the Performing Arts Center on Friday, Oct. 13 at 8 p.m. and on Sunday, Oct. 15 at 2 p.m. Tickets are just $2 for community members and free for UMM students, staff, faculty, and their immediate family members. Emailed threats to local students led to the closure of the Machias schools on Tuesday, Oct. 3 and all A.O.S 96 schools plus Washington Academy on Wednesday, Oct. 4. “We got some email threats that a person or persons unknown may try to cause harm to the students at Machias High,” said Machias Police Chief Grady Dwelley. The Oktoberfest was a complete success this year. I watched the parade out on my ramp, David McLaughlin was the Grand Marshal. He drove his very nice looking wrecker. There were many vendors at the Bigelow Park. The children enjoyed the slide and the bounce house. There was the traditional train giving the children rides around the festivities. There was music to make the day a success. At nine o’clock the dance started. The music was supplied by the band, Driven. Every thing was a success. Thank you to all the people that helped get everything all together. The Washington Academy boys’ soccer team’s consecutive win streak reached 41 as the third week of the 2017 fall sports season ended. On Sept. 16, the Raiders traveled to Old Town to face the 2-1-1 Coyotes. The Machias Bruins ended a three-year championship run by the Cutler Cardinals to win the 1965 Quoddy League Baseball Crown. To reach the finals, top seeded Cutler defeated the Pleasant Point Indians in their best of three series 6-2 and 4-0 while second seeded Machias took out Bucks Harbor Air Base 5-0 and 8-4. This set up a best of three match-up between the league’s two top seeds starting with a twin gill at Willie Corbett Field in Cutler on Sept. 11. The Calais High School boys have come on in cross country with a full squad that includes Addison Coty, Justice Bassett and Kyle Richard, all who placed in the top 10 at the recent Seacoast Invitational at Sumner High School which the Blue Devils won. Matyas Machtiagall of Washington Academy (WA), Evan Merchant of Jonesport-Beals and Addison Coty of Calais are the area’s top runners. The WA Raiders pushed their record to 3-1 in football as they defeated the Telstar Rebels of Bethel 58 - 49. Margaret Sara Williams passed away on September 29, 2017. She was born March 3, 1951.She is survived by her husband of 47 years, Michael Williams of Addison, ME; her mother, Doris Prince and the late Leo Prince of Duxbury, MA; her brother Leo Prince Jr. and his wife Sarah of Milton, NH; her sisters-Mary Camara and her husband Paul and Janet Collins and her husband David, both of Kingston, MA; she leaves several nieces, nephews, great nieces and great nephews. 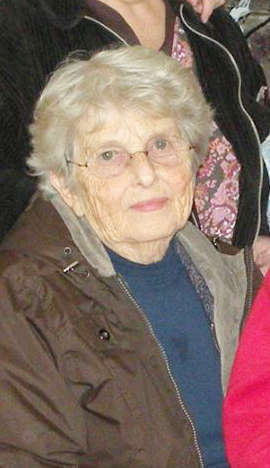 Monique J. St. Pierre of Bangor, Maine: 1.) OUI (alcohol), 2 priors on August 13, 2016. DISP. 2.) Assault on August 13, 2016. DISP. 3.) Refusing to submit to arrest or detent, physical force on August 13, 2016. DISP. 4.) Violation conditions of release on August 13, 2016. DISP. SNTC Date 8/31/2017, Washington County Jail 48 hours. GLTY. 5.) Operate vehicle without license-cond/restrict on August 13, 2016. SNTC Date 8/31/2017, Washington County Jail 48 hours. GLTY. 6.) OUI (alcohol) on August 13, 2016. After exploring the far reaches of our Downeast home, from Petit Manan in the west to Grand Manan in the east, the time has come to take a breather. As a hometown tourist, it is invigorating to take an adventure to places that are lesser known, but nothing is as fulfilling and comforting as being close to home. Imagine a place where the skies are blue, only to be occupied by eagles and puffy white clouds. Imagine a place where crisp, cool waters rejuvenate your being. Imagine a place that heals with each echoing loon song. Imagine no longer: Bog Lake is near. Narraguagus girls team won the 2017 championship with 19-points, beating second place Machias at 37. Elizabeth Bitar took the individual honors in a time of 22:49 for Calais. The Lady Knights Sophia DeSchiffart earned second place with a 22:55. Unfortunately, three runners ran off-course in the event and had to be disqualified. Little did firefighters realize that when a fire started in a cranberry bog near Hulls Cove on MDI that it was only the beginning. It was October 17, 1947. Unbeknownst to all at that point, a standout warm spring with snow melting early had set the stage for the greatest conflagration to ever ravage Maine. A succession of fires would sweep across Maine over the next several weeks, most notably leveling many of the storybook mansions of Bar Harbor and massively damaging the Jackson Laboratory, only 18 years old. Mission Housing Rehabilitation Program Coordinator Scott Shaw recently outlined for President Scott Planting and the Mission Board of Directors a summary of the Program’s 2017 season. It’s never easy to see unpleasant history repeated, and with so much of the country’s attention now focused on the Korean peninsula, the thoughts of many have turned six decades back to the Korean War. 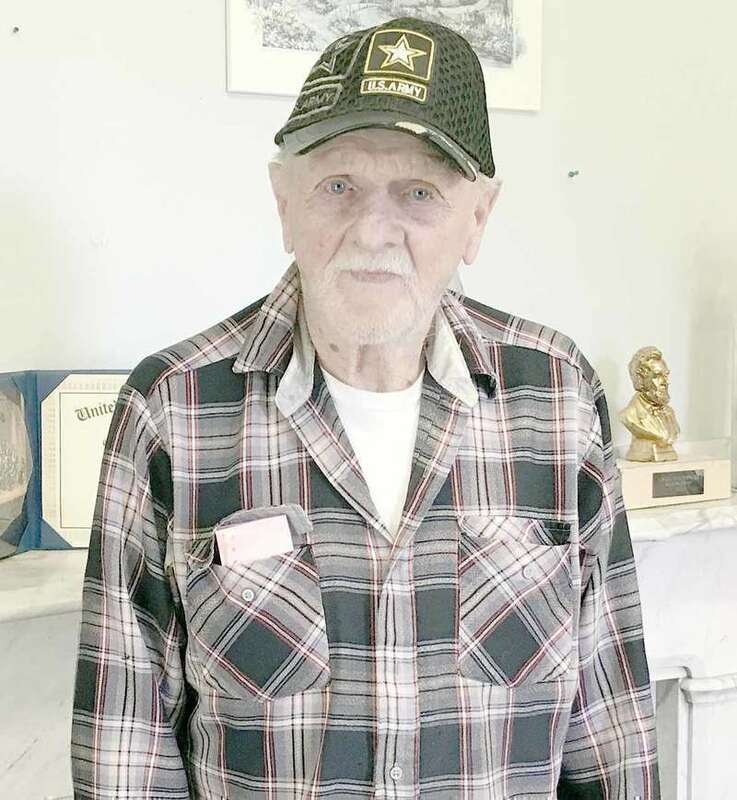 For some in the region, including Fred Lund of Pembroke, the Korean War remains a vivid memory punctuated by the chronic pain of injuries sustained in combat. The Crown Vics, a band known for their high-octane mix of vintage rock, country, and rebel soul, are stopping in Lubec on their 2017 tour. They will be performing from their new album, “HELL YEAH”, Oct. 21 at the Lubec Legion. The event is a fundraiser to benefit Diane Tyler. Poet Emma Sovich will read from her work at 6 p.m. on November 1 at Merrill Library at the University of Maine at Machias. 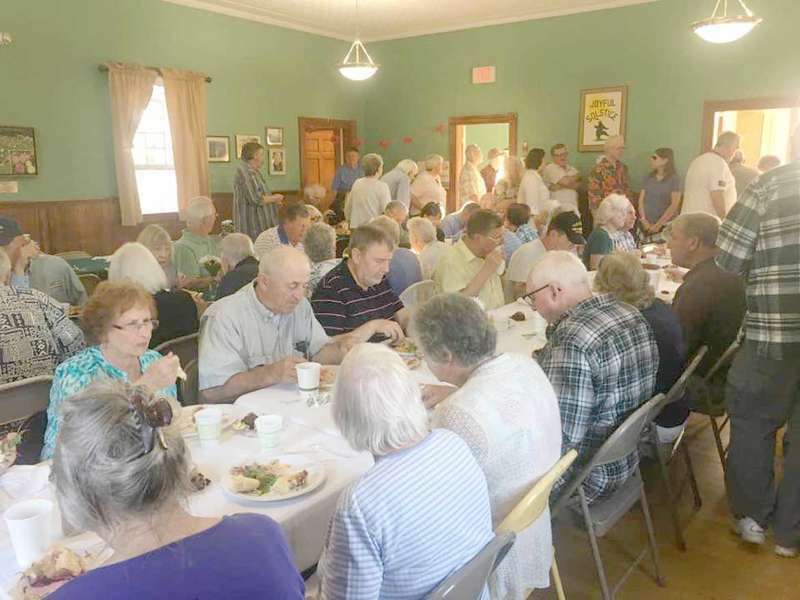 Church Supper — Cherryfield Congregational Church Fellowship Hall (River Road, Cherryfield), October 11. Dinner served at 5:30 p.m. (Doors open at 5 p.m.). 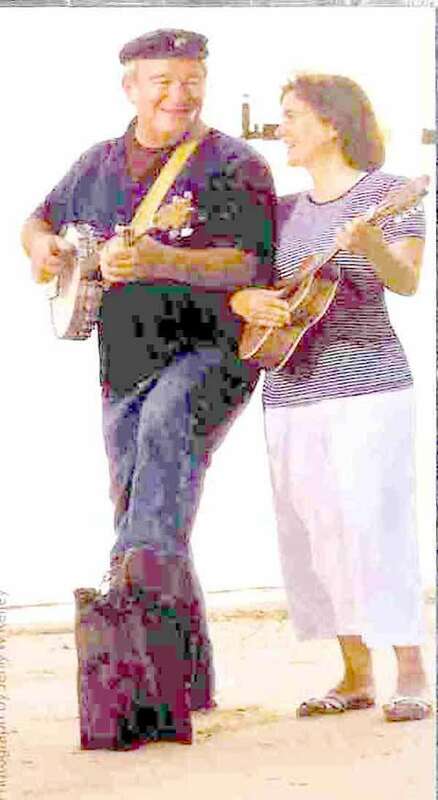 Traditional New England Contra and square dance — Saturday, October 14 at 6 p.m. Music by O’McCrelli, pot luck refreshments. Crow Town Gallery, 406 South Lubec Road, Lubec. Call A. Briggs at 733-228- for more information. Who makes the best chili in the region? Here’s your chance to find out. Everyone is invited to cook up his or her favorite chili recipe and submit it for this fabulous Cook-Off to be held Oct. 28, from 12 to 2 p.m. at Artemis’s Attic on Main Street. This event is part of the downtown Scarecrow Fest sponsored by Calais Downtown Revitalization Coalition (CDRC). Anyone can participate: organizations, churches, individuals, school classes, businesses, and even restaurants. There is no fee for the chili makers. It probably should please me that in more than 50 years of upland bird hunting and big game hunting, I have been shot only twice: once, long ago, while duck hunting at Merrymeeting Bay, I took a BB shower from another hunter across the water; later, while fussing with my lawnmower behind my Hampden home in October, a grouse hunter sent some BBs my way from across the brook.